My Instagram bio reads “blogger with a love of all things bold and a fear of blending in” so today’s post about my love of printed dresses should be no surprise to anyone who is a regular reader! And after reading this post I’m pretty sure you’ll be convinced that printed dresses are better than solids too! This is by no means is a post bashing minimalist fashion, and I will never NOT love the perfect little black or white dress, BUT if I had to choose 9 out of 10 times I’m going to pick a print over a solid. I know what you’re thinking…solids are way more versatile, and I actually agree with that statement, BUT twirling around in a printed dress like this colorful tile printed one puts a smile on my face. Prints are statement making, memorable and eye catching. My lifelong motto is “go bold or go home” and when it comes to fashion I’m all about those statement making pieces so you better believe my closet is filled with printed dresses. 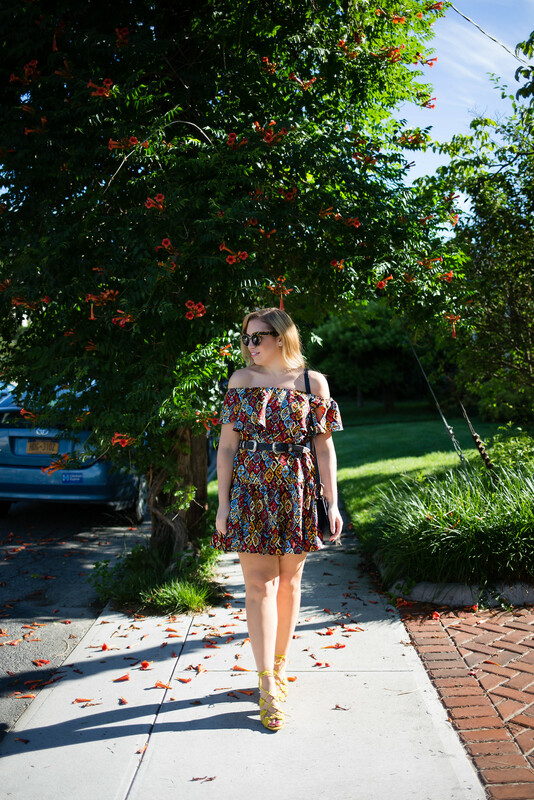 Since this particular dress is an old favorite that I’ve been had in my closet for a few years (see how I styled it way back in 2015 here) I thought I would do a round up of all my current favorite printed dresses that you can actually shop. But since I know loud, bold printed fabrics aren’t everyone’s cup of tea I included a little something for everyone. No matter how bold your taste I guarantee you’ll find at least one printed dress to add to your closet! Absolutely beautiful and fun dress! Love the yellow shoes and the summer vibe is perfectly captured in your photos! Your smile adds so much as well! This is an amazing post! I love the dress and the pop of color shoe choice sets of the colors.